On the morning of October 12, about 30 Party member representatives of Drum Tower came to visit Guangbo. Group company CEO and deputy secretary of the Party committee Shu Yueping accompanied. Representatives of Party members visited Guangbo’s comprehensive historical exhibition area, stationery products exhibition area and electricity supplier exhibition area. They had a detailed understanding of the development history and business development of the past 20 years made by Guangbo. And for Guangbo’s creative stationery products, they are all impressed. Some representatives also inquired in detail about the product design process, market reaction and other details. At the following symposium, Shu Yueping introduced a wide range of diversified development strategies to Party members and representatives, as well as the current overall industrial layout. He showed, in recent years, in the complex environment of internal and external environment, Guangbo has always adhered to the high quality development path, actively explore new ways of transformation and upgrading. At present, it has achieved good results in new materials, fashion stationery, electricity providers and other fields. The next step, it will continue to intensify exploration and strive for the development of the industry as a whole. 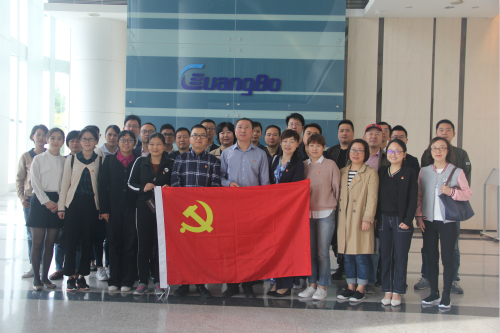 Meanwhile, Guangbo will also adhere to the manufacturing position, and establish long-term development goals of "quality products and quality services".